Above, a Wonders on Wheels! (WoW!) 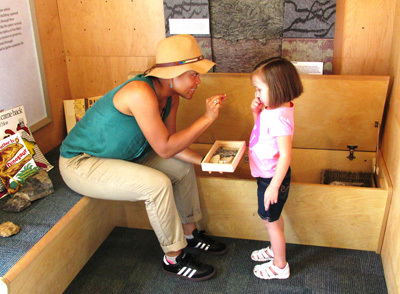 staff member speaks to a local child during a hands-on fossil activity as part of the WoW! van’s recent visit to Artesia. Below, another girl enjoys an interactive exhibit. 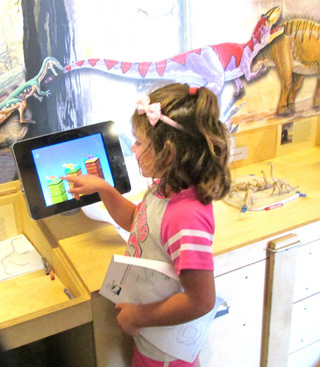 The mobile museum is conducted by the New Mexico Department of Cultural Affairs and intended to teach children about science, technology, engineering, arts and math (STEAM) in a fun and interactive way.